The sheet Cakes from the collection For Mother is so suited for a birthday card. I have chosen one of the images and put it on the front of the card, and then I have used the same paper in 6×6″ as background. 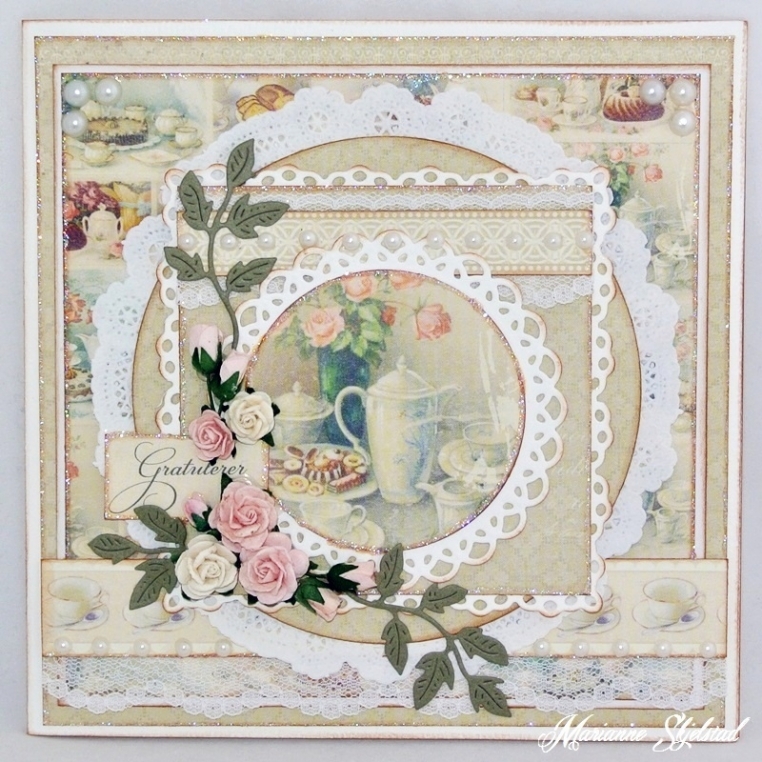 The borders and texts are from the same collection and I have decorated the card with doilies, die cuts, roses and pearls. 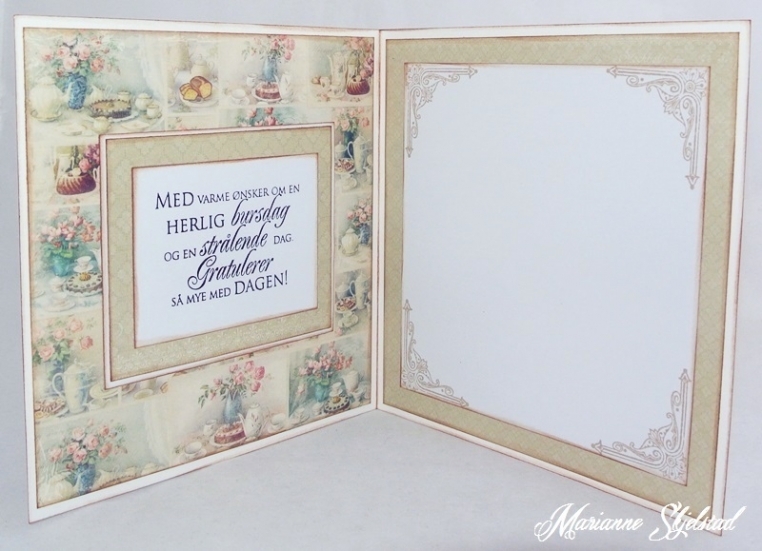 Here you can see the inside of the card for which I have used the paper Cakes in 6×6″ and a matching paper in a light green shade.